Find out why the COSRX Triple C Lightning Liquid is going to be your new favorite brightening acid, ever. The moment is finally here! After about a year of intense product development—from concept to formulation to design (and don’t forget the logistics! )—all the chips are in place to finally unveil the third skincare product I’ve created. This time, it’s a collaboration with an all-time favorite skincare brand that genuinely cares about your skin and mine: COSRX. 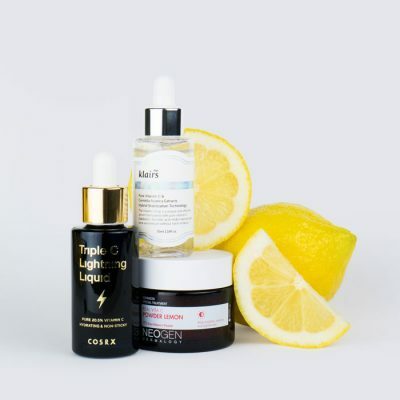 So, without further ado, I’d like to introduce to you the Triple C Lightning Liquid, a pure vitamin C (ascorbic acid) serum that will change your life. I never dealt with hormonal acne until a year and a half ago, but when it hit me, it was like getting hit with a ton of bricks. One day I had clear skin, then the next day I had persistent acne along my jawline with no cause or source that I could determine. I was frantically trying to figure out how to deal with my new hormonal acne-prone skin. That’s when I found COSRX, a brand that truly got my acne under control using their chemical exfoliants and glorious pimple patches. After curating their products to Soko Glam and meeting with the CEO and the COSRX team regularly during my trips to Korea for about a year, the CEO Mr. Jun asked me if I wanted to create a product together. To say I was excited is an understatement. 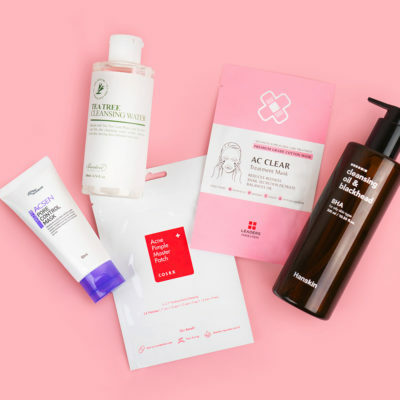 At the time, I was already working on creating a sheet mask and a cleanser, and I was so excited to work on a skin care product with a brand like COSRX. Why a vitamin C serum? I went with what you had been requesting for ages. 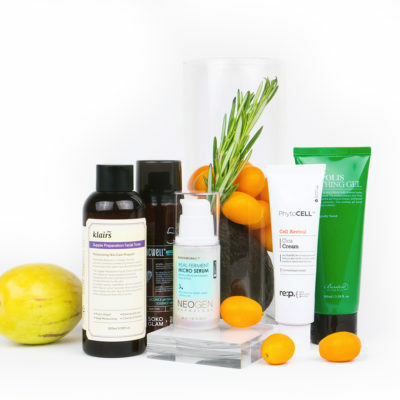 Over the years I’ve received countless of inquiries for more vitamin C serum options on Soko Glam after the amazing results you’ve seen with the Klairs Freshly Juiced Vitamin C Serum (which contains 5% ascorbic acid). There were specific requests for an option with a higher percentage of pure ascorbic acid in the formula. Luckily Mr. Jun also had received tons of requests from their customers to create a vitamin C as well, so it was a match made in heaven. When we were able to sync with a top researcher in Korea that has formulated many vitamin C skincare products, it was a done deal. We were ready to get this vitamin C party started! When you make a product, there is a lot of work that goes into it, but I’ll cut to the fun part: naming and designing the Triple C Lightning Liquid. 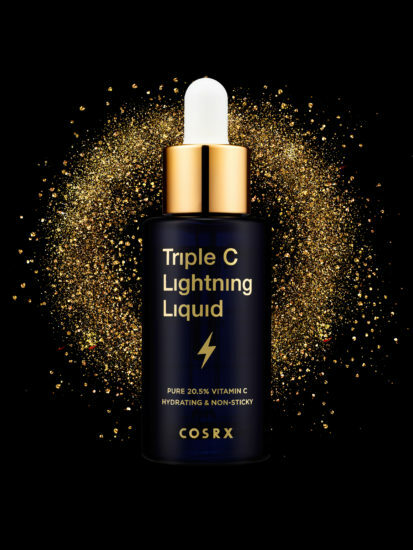 “Triple C” stands for Charlotte Cho x COSRX x Vitamin C, and the “Lightning Liquid” part describes how your skin will brighten up in a flash with this serum! At first I thought it was a little cheesy to incorporate 3 C’s in the name, but the more and more I kept saying it, I felt “Triple C” had a great ring to it. 20.5% Ascorbic Acid (Vitamin C) makes this a powerful and effective vitamin C serum. 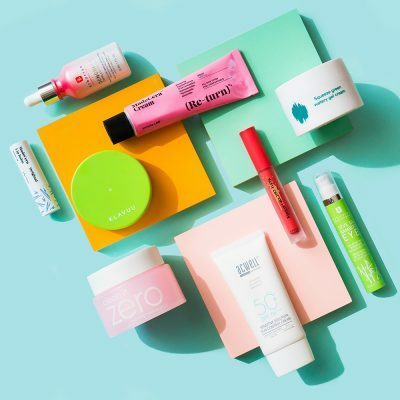 There was a lot of thought that went into this percentage, because with acids you need a high percentage of the actives to see real change in your skin. 72% Black Chokeberry (Aronia Melanocarpa fruit extract) is an antioxidant that hydrates your skin and actually even helps stabilize the formula. Here is the full complete ingredient list from descending order, which is only 10 ingredients total! Aronia melanocarpa fruit extract, ascorbic acid, Butylene glycol, Sodium lactate, Licorice root extract, 1,2- Hexanediol, Pullulan, Sodium hyaluronate, Cassia obtusifolia seed extract, and Allantoin. Why should you care about vitamin C and what does it do exactly? Many studies have proved that vitamin C (a.k.a. ascorbic acid or l-ascorbic acid) is one of the most effective ways to help fade pigmentation—the pesky brown spots you get from UV rays or even uneven skin tone from acne scarring. It also helps stimulate collagen and is effective at smoothing out the appearance of wrinkles. It also improves the overall health of your skin by protecting it from free radical damage, which causes premature wrinkles, and simultaneously works as an anti-aging shield for your skin, by preventing future damage. Vitamin C keeps skin cells fresh and healthy, and with consistent use you’ll start to hear compliments about your radiant complexion! Because pure vitamin C needs to truly be fresh to be effective, it was super important to me to make sure the Triple C was manufactured and quickly shipped to you. That’s why the Mr. Jun and I decided that we’d make everything in small batches, and we’ll only produce based on demand. This ensures that you’re getting the freshest serum possible and your bottle wasn’t hanging out on some shelf for a year before you got your hands on it. For this reason, the Triple C Lightning Liquid is also available exclusively at Soko Glam. Quality control is extremely important to me, so we’re making sure that the Triple C cannot be found sitting on a sketchy site through an unauthorized seller. Believe it or not, there’s more to vitamin C than all of the above. 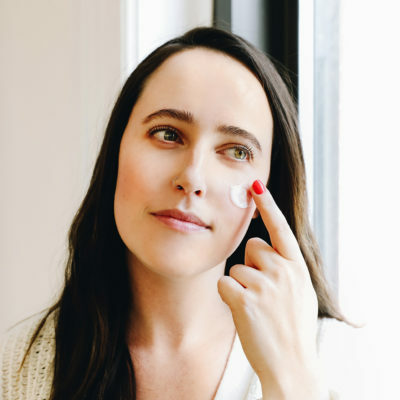 With a formula so rich in vitamin C, you’ll want to make sure you visit the Klog articles below on how to properly care for your serum and how to use it so you’re maximizing the benefits! This collaboration was extra special to me because I was able to create a product that is truly unlike any other on the market. The Triple C Lightning Liquid contains a unique blend of ingredients with a high performing, proven acid and you’ll know that the bottle you receive will be fresh as can be, thanks to our philosophy of creating everything in small batches and flown out from Korea directly to you. Now that the Triple C is available, my focus will be to educate you on how to properly use a pure vitamin C serum so you can see the results! Even with two other product launches under my belt, the excitement of launch day never dulls! It’s been such an amazing journey and I, along with the team at Soko Glam and COSRX, can’t wait for you guys to get your hands on the Triple C Lightning Liquid and hear your thoughts! 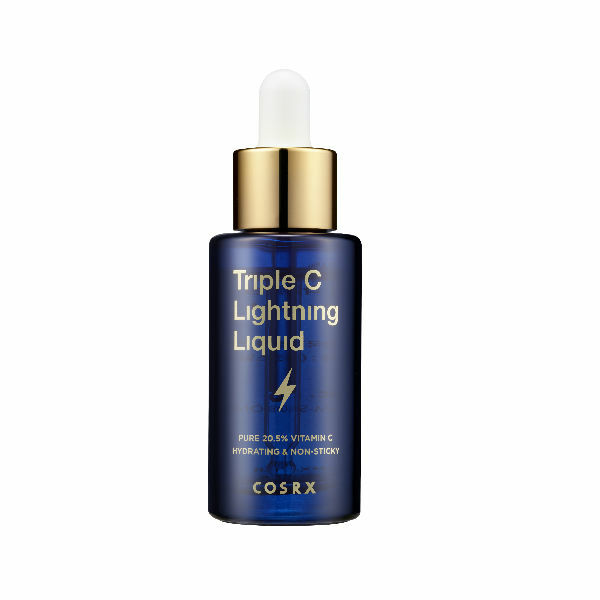 The COSRX Triple C Lightning Liquid is available exclusively at Soko Glam starting at noon on April 11. 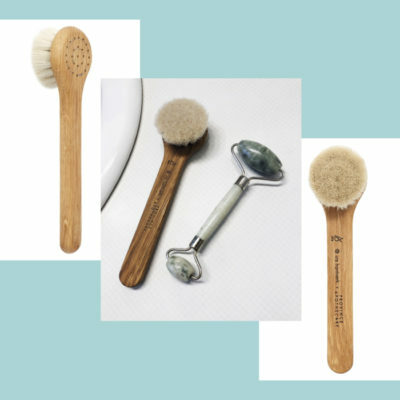 You can start signing up for in stock notifications on the product listing here or subscribe to the Soko Glam newsletter for a reminder of the release! + How excited are you for the COSRX Triple C Lightning Liquid? Let us know in the comments!